Rain/Wind event expected across PEI next couple days..
Friday, November 2nd 6:45am.. A frontal boundary is currently draped in a NE-SW fashion across the Maritimes. This system is giving clouds and periods of rain. 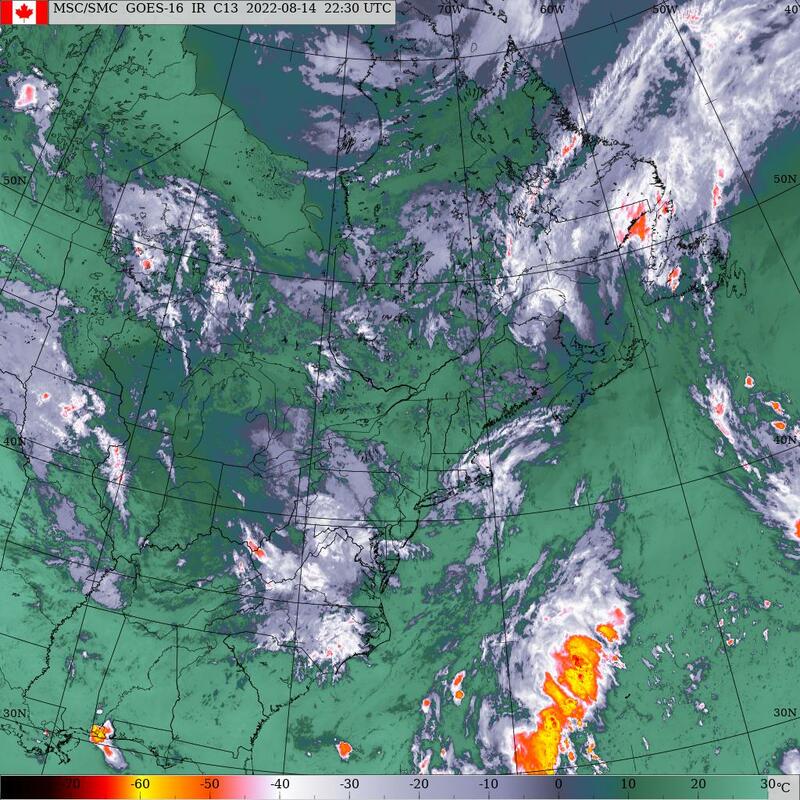 A couple of weather disturbances will ripple NE along this frontal zone out of the US mid west moving through western NB over the next couple days enhancing rain. Additional strong winds will accompany the second system Saturday into Sunday morning. High pressure will begin building in on Sunday allowing for clearing skies and slowly diminishing NW winds. This feature will crest over the island Monday morning with clear skies and calm winds. Clouds will begin to return Monday night as an upper air disturbance approaches with rain developing by Tuesday morning. This system moves across the region during the day on Tuesday followed quickly by a 2nd low pressure system Wednesday afternoon through Thursday morning. Rain and wind will accompany this 2nd system as well. High pressure begins to approach sliding south of the Maritimes on Friday. Some sunshine expected with this feature. Precipitation.. Basically rain at times heavy expected now ending near midnight Saturday night giving rainfall amounts in the 50-60 mm range. Dry for Sunday and MOnday. Showers redevelop on Tuesday becoming periods of rain on Wednesday ending near dawn on Thursday. Temperatures.. Normal today becoming well above normal tomorrow dropping back to near normal for Sunday through Tuesday. Well above normal again for Wednesday and Thursday dropping back to normal again for Friday and Saturday. Wind.. Light east winds today shifting to southerly early tomorrow then increasing to strong southerlies peaking near midnight with gusts to 90-100 KMH. Winds will then slowly shift to the W-NW and slowly diminish through the day on Sunday dropping off to calm by Monday morning. Light southerlies then develop Monday afternoon. Watches/warnings.. Special weather statement remains in effect for a wind and rain potential today through Sunday morning.